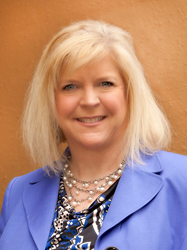 Kelly Henninger, a seasoned sales & marketing professional from the Charlotte area, joins the JHM team. As the new Director of Sales for Charlotte Plaza Uptown Hotel, Kelly Henninger is responsible generating leads and developing new business opportunities, monitoring, measuring and providing direction on all sales and marketing performance standards, as well as creating special sales activities and promotions. Kelly’s main objective is to work with her team and assure the overall success of the hotel by meeting or exceeding the expectations for top line revenue. Prior to joining the JHM Hotels portfolio, Kelly worked at SREE Hotels, LLC as Area Director of Sales in the Charlotte Airport Area. Kelly received her BSBA in Business Administration & Marketing from UNC Charlotte. A few of her accolades include; Sales Manager of the Year 2012 for SREE Hotels and Sales Excellence Award for 2011. Her knowledge of the market and experience in the hospitality industry make her a great asset to JHM Hotels. Kelly is a Charlotte native who enjoys the great outdoors. You can find her snow skiing or kayaking in the Carolinas or venturing out on an international excursion. JHM Hotels, a premier lodging company, based in Greenville SC, has developed, acquired, owned, and operated hotels throughout the United States for 40 years. The company currently owns and operates over 40 hotels with 7000 guestrooms, located in the United States and India, operating under such well-known brands as Hyatt, Marriott, Hilton and Starwood. For more information, visit our web site at http://www.jhmhotels.com.